Recruiting and retaining your largest asset, your workforce, has always been a challenge. But in an environment where unemployment in the profession is under 1%, where talented staff have many more options available to them, and where the Department of Labor suggests that by age 38 many workers will have as many as 14 jobs, recruiting and retaining top talent has quickly risen to “Job 1” for many firms. Hiring freezes and layoffs during the recession added to the already noted shortage of experienced 5- to 7-year professionals. Some firms are paying professionals more and getting creative with benefits and perks in order to retain them. A few firms are going so far to ask staff what they would need to stay, and then freely giving it to them in hopes of retaining them. The “white gloves” are off as firm partners and recruiters get more aggressive about courting seasoned staff from other firms. Despite some moves to create more flexible work arrangements, professionals don’t see that manifesting itself at the highest levels. Only 1.8% of all equity owners work some form of alternative or part-time schedule, according to the IPA survey. There have always been very valid reasons why an accounting professional needs to wait to have the maturity and business acumen to become a partner. According to the IPA survey, a newly hired staff member will invest, on average, 12 to 15 years in the profession before being admitted to partnership. During this critical time frame, many may choose a different path that they perceive to be shorter. IPA’s recent PRIME Symposium generated interesting discussions as to whether the pendulum has swung too far in the direction of NOT sharing the financial upside of the lifestyle that a partner in an accounting firm enjoys. Among some Best of the Best firms, a strong plea was made to expose staff to the luxuries enjoyed by partners so they will see the financial opportunities available by “sticking it out” for the chance to get equity in a firm. 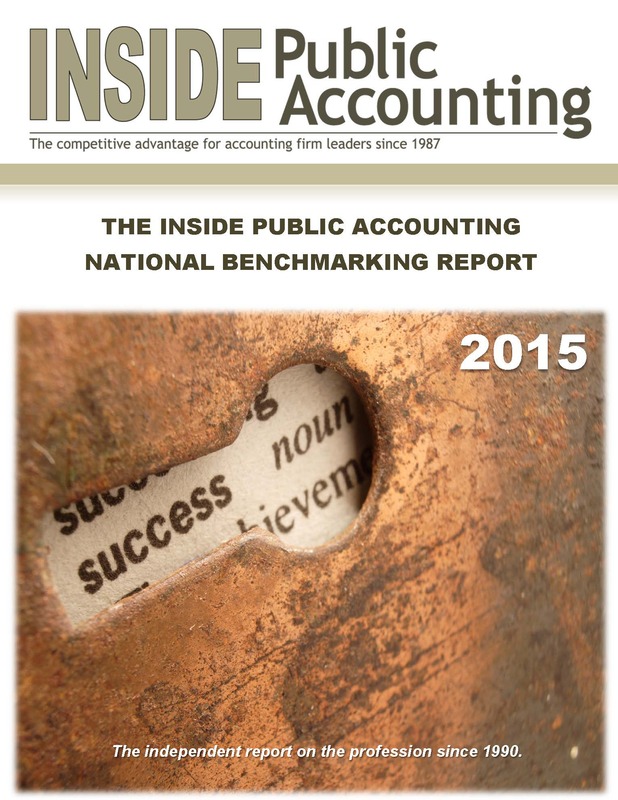 Compare your firm to firms of similar size, to those within your region or to the Best of the Best firms, using the 2015 IPA National Benchmarking Report. It offers detailed information on more than 500 firms with over 80 pages of tables, graphs and analysis, along with in-depth analysis of the IPA 100, IPA 200 and Best of the Best firms. Order the full report today or read the executive summary . Survey participants can also order the one-page customized Financial & Operational Report Card, an extremely valuable tool to help firm leaders get laser-focused on what’s working, what’s not working, and where the firm needs to improve. Consider inviting IPA out to your next partner retreat for a customized presentation based on your firm’s survey results in the context of a global view of what’s happening around the profession.